149 countries and regions made a live broadcast or rebroadcast of the Mission Hills Star Trophy which was held in Haikou from Oct 28th to Oct 31st, 2010 and 120,000 spectators enjoyed the grand golf event. The great success of the Mission Hills Star Trophy held in Haikou indicates the leisure sports industry in Haikou is getting better and ready to fly. It’s only the beginning for Haikou’s golf development as the top international competition, the OMEGA Mission Hills World Cup, is to be held at Mission Hills Resort Hainan in Haikou from Nov 24th to 27th, 2011 and the total prize will be raised from $US 5.5 million to $US 7.5 million, which undoubtedly will greatly improve Haikou’s popularity. 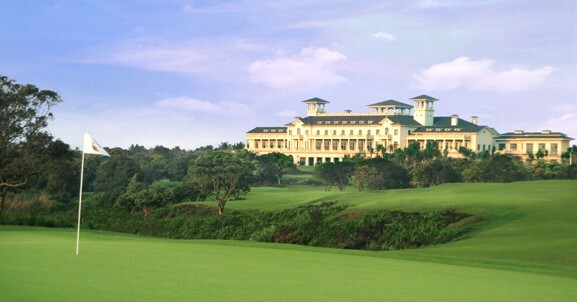 Haikou first raised the proposal of forging China’s golf capital at the Haikou Golf & Tourism Forum held at the beginning of 2010. The Haikou Government has shown the expression of encouraging and supporting golf-related industries, such as golf equipment manufacturing, processing, retail, storage and logistics, to settle in Haikou with the hope of forging Haikou into China’s crucial golf industry base. The 2010 China Sports Tourism Expo has attracted many golf equipment manufacturers to book booths for expanding the golf business, which is to be held on Dec 18th in Haikou.